There is nothing more irritating then looking in the mirror at lunchtime only to realize that almost all of your makeup has worn off. You might think that keeping your face in place all day long is impossible, but it’s actually, not. With Winter on the way, you know that soon enough, on the way to work, you'll have to deal with wind and rain, which can lead to all sorts of makeup issues. That’s why we've got some great tips, to ensure that come Winter, you know how to keep your makeup in place all day long. Before you start applying your makeup, one of the most important things you should do is cleanse your face. This will help to ensure that when you put your makeup on, that it sticks properly and won’t easily wear off. Once you have cleaned your skin, the next step is to apply a lightweight moisturizer. Leave your moisturizer to be absorbed by the skin for a few minutes, so that when you apply your makeup, there is no oily residue left. You know how your nail polish stays in place that little bit longer when you use a base coat? Well, it’s the same with your makeup, if you want it to stay in place, a base coat or primer is a must. Using a primer will help to fill in any open pores, it will help to blur imperfections and, best of all, it will act as glue for your makeup. Top tip: Just like with moisturizers, there are different primers for different skin types. So when you are choosing a primer, make sure to pick one that is suitable for your skin type. Want to stop the rain from causing your makeup to melt down your face - you need waterproof products. You have most probably heard of waterproof mascara, but did you know that you can also get a foundation that’s water-resistant? Far too many of us use our fingers when applying makeup. However, if we want our makeup to stay on all day, we shouldn’t do. Our skin has oil in it, which gets spread onto each surface that we touch, including our face. 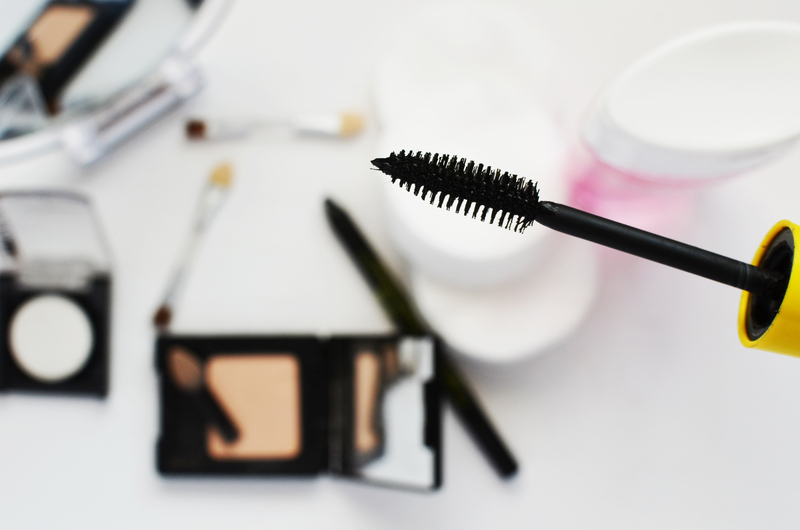 Oil can cause your makeup to run more quickly, which is why it’s so important to use makeup brushes when applying your products. Once you have finished applying your makeup, use a translucent powder to fix it in place. Using powder over the top of your other products will soak up any excess oil on your skin, and will set your makeup in place. Top tip: If you wear pencil eyeliner, sweep a small amount of powder under the eyelids and use it to ensure that your eyeliner doesn’t smudge. These are just some helpful tips to keep your makeup in place all day! This is a sponsored post, not written by Kaliwood. So, you’ve just graduated from college and are all ready to begin your life in the professional work! But is it really that easy? Now that the economy is going through a tough time and there is a lot of uncertainty in the job market, it is a lot harder for new college grads to bag the job of their dreams. Even though there is a lot standing in your way, getting the perfect job isn’t completely impossible. You’ve just got to be prepared to work that little bit harder. Here are some job hunt hacks that should help you succeed. The new year is fast approaching and many of us are looking to turn a new leaf and create a new image for ourselves. Of course, resolutions can change our behaviour and habits, but why not use this year’s resolutions to create a new look for yourself? This could boost your confidence significantly! Here are just a few areas that you might like to focus on to get the ball rolling the right direction! If you are a fan of Asian cuisine, why not embark on a culinary journey and experience the authentic tastes of different countries and cultures this year. There are plenty of hidden gems in Asia you will need to see to believe. Whether you’re keen on street food, or want to learn some traditional recipes, you might start looking for destinations to put on your food map. From real Indian cuisine in the North of the country to tasting rice balls in China, there are plenty of tasty experiences awaiting. If you are undecided which country’s food is your favorite, you can find some tips by reading the below list of culinary cities.